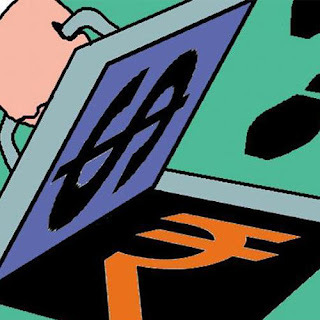 The Swiss central bank showed Indian money in Swiss banks down from 1,776 million Swiss Franc (CHF) in 2014 to 1,207 million in 2015, a 32% decline. In Indian rupees, at the current exchange rate of about Rs 69 to a Franc, the decline is from Rs 12,300 crore to Rs 8,340 crore.The deposits had hit a recent peak of CHF 2025 million in 2011. ITAT Visakhapatnam Bench held that in order to claim deduction under section 80-IA, initial assessment year would mean first year opted by assessee for claiming deduction and not year in which eligible business was commenced.